There is no untethered jailbreak released for iOS 5 yet. Though tethered iOS 5 jailbreak for all iOS devices except the iPad 2 is available but Cydia/MobileSubstrate and the tweaks that use MobileSubstrate still have some moderate bugs. In case you don't know, tethered jailrbeak is a kind of jailrbeak in which you have to tether your device with your computer everytime you reboot your device. In simple words, if you reboot your device, it won't boot until you connect it with a computer having necessary jailbreaking tools. On the other hand, untethered jailbreak is inverse of tethered jailbreak, means you have your device jailbroken for life. So untethered jailbreak is recommended. iOS 5 comes with new baseband, means that iPad 2 GSM/CDMA users if once perform any kind of restore, and if apple is no longer signing that firmware, they will get stuck in recovery with no way of getting out. This is because there is no public bootrom exploit for iPad 2. So be cautious about it or you will lose your device. 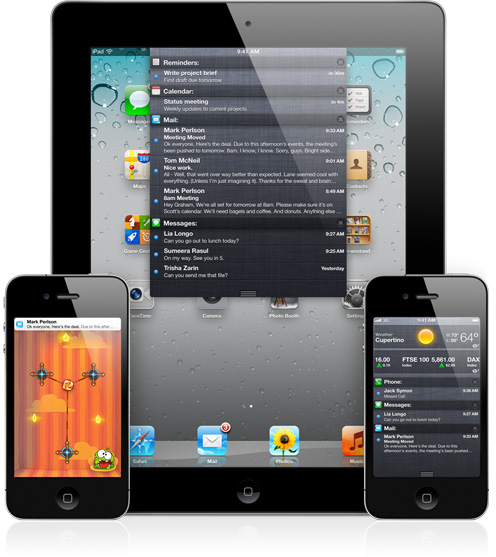 iPhone-dev team and other jailbreaking communities are currently working to bring untethered jailbreak for iOS 5. So be patient, don't mess up with your device and stay happy :) If you need any type of assistance, drop your comment in the comments section below. 0 Respones to "Things You Should Know Before Upgrading to iOS 5"